As a mother that wants the best for her family, Young Living has been a huge blessing over the past few years. We have transitioned many of our everyday household products to products from Young Living. This transition has created cost savings and increased peace of mind knowing that Young Living products are all natural and safe. My family members use Young Living essential oils every day, each in a unique way. I can show you how to transition your household products to Young Living products and help you discover how to support your health and wellness with essential oils. Young Living also provides a way for you to reclaim what matters most, and that is time with your friends and family. I want to show you how to build a career with Young Living. The gift of time is what I’m most excited about giving to others. Let me give this gift to you! I have found several ways to incorporate Young Living into my everyday routine. I use the Shutran 3 in 1 body wash, Valor essential oil, and custom oil blend to support my foot care needs. I diffuse essentials oils daily at home, in my car, and at work. I find tremendous value in using the essential oils for emotional support and motivation. Some of my favorite oils are Envision, Grounding, Clarity, and Idaho Blue Spruce. My families Young Living story centers on my oldest son Jaebin. As a young boy, he developed a severe case of bacterial pneumonia that nearly required emergency lung surgery. By the grace of God, the treatments at our local hospital were effective and the need for surgery went away. After several days in the hospital that included multiple rounds of breathing treatments, we were able to return home. The following years involved Jaebin catching every cold that came around and being on the brink of developing pneumonia every cold season. To keep him breathing and “well” he was prescribed steroid medication on a regular basis. Long-term steroid use isn’t good for anyone, and particularly not good for a young boy. Our pediatrician leveled with us during an appointment and shared that long-term steroid treatment would have a negative long-term impact on Jaebin, but that the alternative of coming down with another case of pneumonia was in the short term just as dangerous. Feeling hopeless, a friend of mine, after hearing our story asked if we would be open to using to essential oils for Jaebin’s situation. I received a Premium Starter Kit and Jaebin quickly fell in love with the Peppermint Oil and the RC oil. He used them on a regular basis, and a few years went by and he had not gotten sick. In the weeks leading up to his first tackle football season, we made an appointment for a sports physical. Our pediatrician remarked that he had not seen Jaebin for a while, and expressed shock that he hadn’t been on steroids for quite some time. The pediatrician asked what we were doing. I hesitantly replied that we were using essential oils. The pediatrician paused, then said, “well if its working, keeping doing it”. Of course we knew what Young Living essential oils were doing to support my son, but to have the confirmation of the pediatrician!?! That was amazing. If you see my son today, you wouldn’t know that he ever had any issues with this lungs. He’s healthy and active and is a talented athlete. Young Living Essential Oils saved my son’s life, that’s all there is to it. He’s #36 – Wide Receiver just caught a pass for a touchdown! Young Living was founded by Gary and Mary Young. Gary’s vision was to have Young Living Essential Oils in every home around the globe. That’s a big goal that started nearly over 20 years ago and the company to this day is pushing it forward daily as people like me and you help people achieve their health and wellness goals by adding Young Living products to their everyday life – The Young Living Lifestyle. 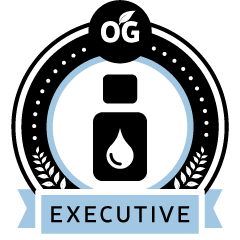 The core of Young Living is built on the highest quality essential oils that are used in a tremendous product line that allows people to boost their health and wellness in so many ways. Angela is a Salem essential oils distributor. Use the contact form to get in touch with Angela. Want to learn more? Contact Angela Sotelo — A Salem Young Living essential oils distributor.